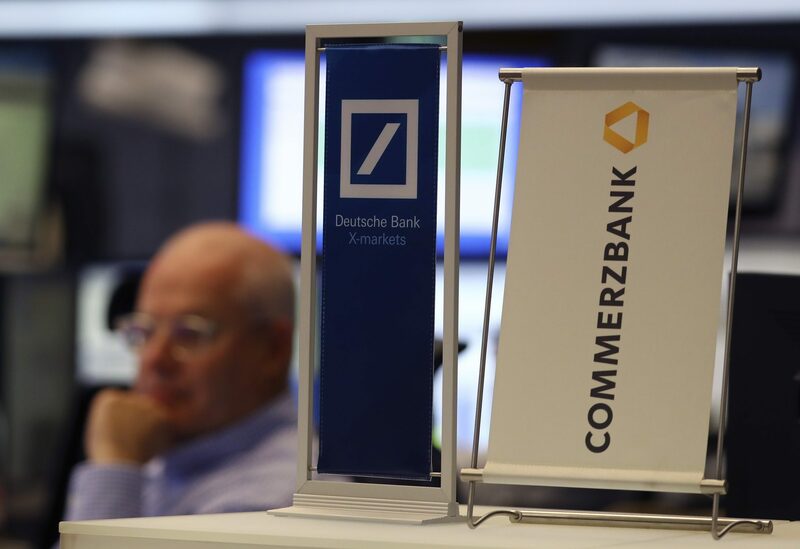 The management board of Deutsche Bank has agreed to hold talks with rival Commerzbank to study the feasibility of a merger, Reuters reported on March 9, citing a person with knowledge of the matter. Talks were at a very early stage and could fall apart, according to the person, who spoke on condition of anonymity. The German government was so worried about the health of Deutsche Bank that it pushed for a merger with Commerzbank even though it could open up a large financial shortfall, according to a Reuters report on March 11 that cited a German official. Spokespeople for both banks, the German finance ministry and the economy ministry declined to comment on the March 11 story. There has been widespread speculation about a possible merger between Germany's two largest listed lenders for months, heightening under the tenure of Finance Minister Olaf Scholz, who has emphasised the importance of strong banks. Deutsche Bank and Commerzbank shares were up 1.7 percent and 4.1 percent respectively at 1008 GMT on March 11.